New Delhi, February 8: Olympic and World Championship silver medallist P V Sindhu has signed four-year sports sponsorship deal in the tune of Rs 50 crore with Chinese sports brand Li Ning. "Sindhu's deal is one of the biggest in world badminton. It is close to Rs 50 crore for sponsorship and equipment," Mahender Kapoor, director, Sunlight Sports Pvt Ltd, the multi-national exclusive partner of Li-Ning in India. 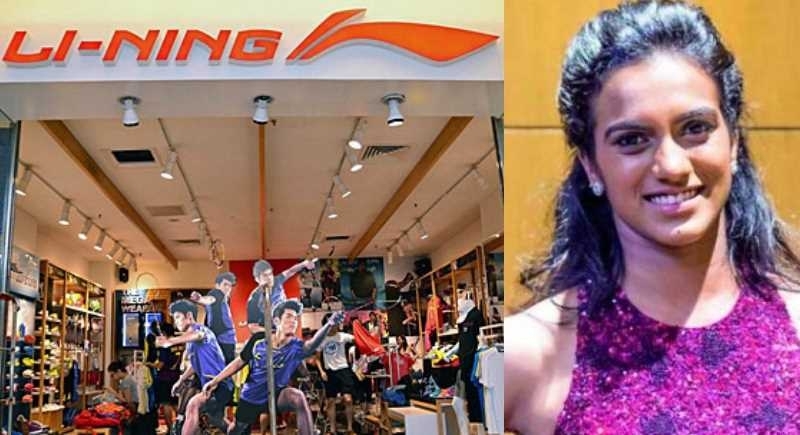 This is Li-Ning's second stint with Sindhu, who was with them for two years in 2014-2015 for a sum of Rs.1.25 crore a year. In 2016, Sindhu was back with Yonex for a Rs 3.5 crore per year contract for a period of three years. The Chinese sports brand had also signed a two-year deal with the Indian Olympic Association last year. As part of the deal, it will provide Indian athletes and officials with competition and training apparel, leisure-wear and footwear for the 2020 Tokyo Olympics. Li-Ning also roped in men's doubles pair of Manu Attri and B Sumeeth Reddy for a deal of Rs 4 crore each for two years, while former Commonwealth Games champion Parupalli Kashyap has been offered an Rs 8 crore deal for two years.